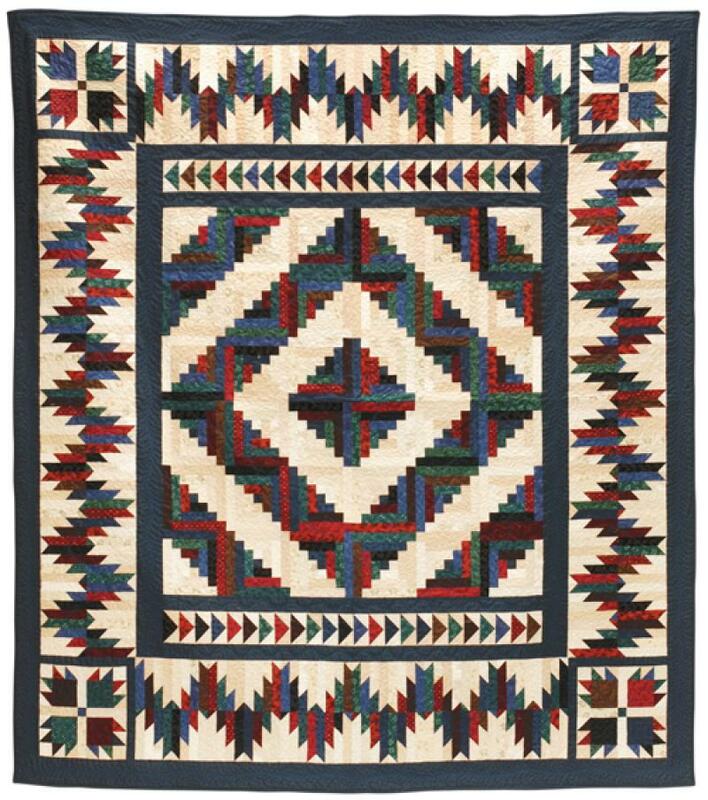 This spectacular quilt has been one of our most popular designs. You will use a variety of fun techniques to construct Log Cabin and Bear Paw blocks, Flying Geese and a Mountain border. You will need 16 different medium-dark to dark prints and 16 assorted background prints plus border.